Coconut Rice is a traditional dish of south India and comes in the group of variety rice. 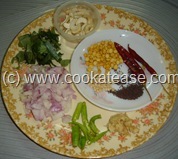 It is cooked with grated coconut and with some spices. 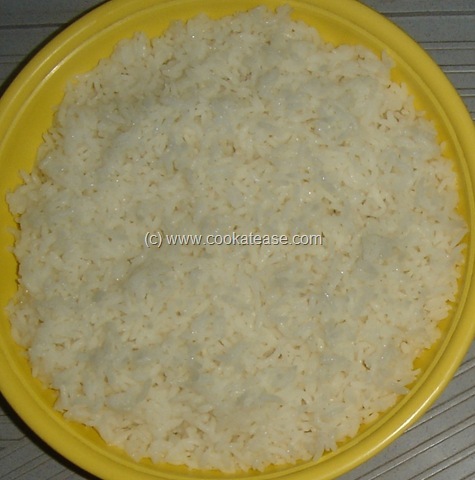 Among all the variety rice, I feel this can be called as the king of variety rice for its rich taste. 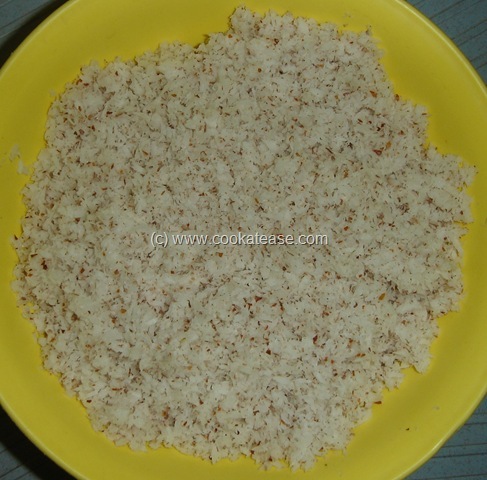 Some people use dried coconut (copra/kopra) but fresh coconut gives a better taste with some nuts. 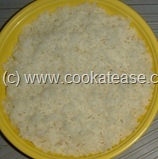 Coconut rice is also prepared on special occasions and during some festivals. It is also a preferred dish of children for lunch box. 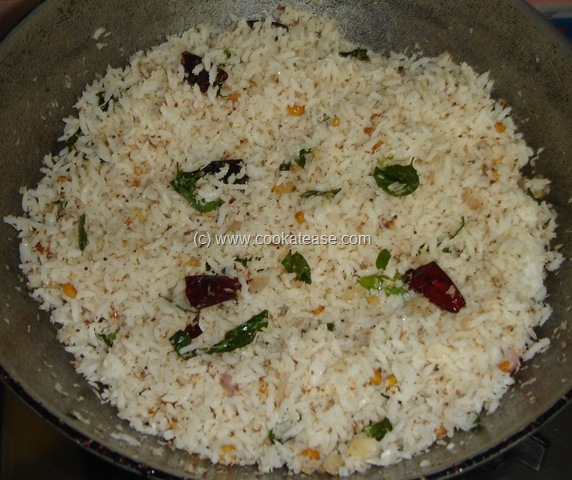 Some of the other variety rice are: Brinji Rice, Capsicum Rice, Chitranna, Jeera Rice, Paruppu Sadam, Tomato Rice, Vangi Bath (Kathrikai Sadam), Vegetable Pulao. Cook rice making sure the grains are loose and separated (not sticky); if not add few drops of oil, toss it, keep for 5 minutes and then use. 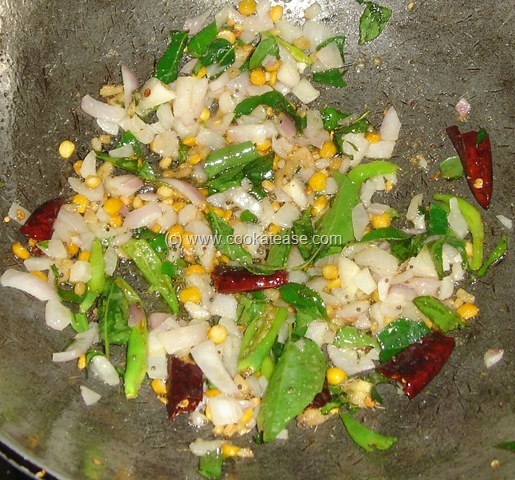 Heat a pan with oil, add mustard and let it splutter well; add urad dal, bengal gram, cashew nut, red chilli, asafetida fry and for few seconds; add green chilli, ginger, curry leaves and fry for few secods; now add onion, salt and fry for few minutes till onion is fried to golden colour; now add grated coconut and fry for few minutes; switch of gas, add cooked rice and mix well. 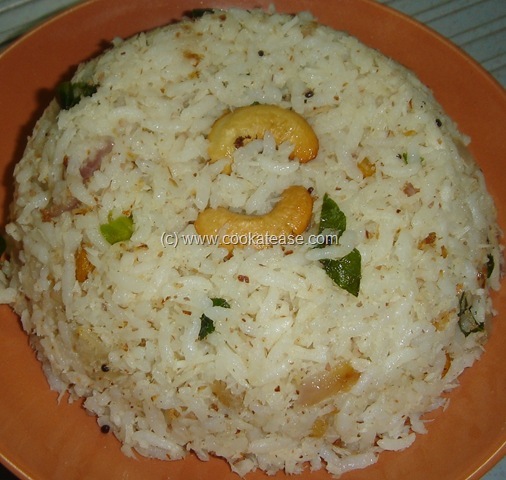 Serve Coconut Rice with any vegetable kootu and fried papad. 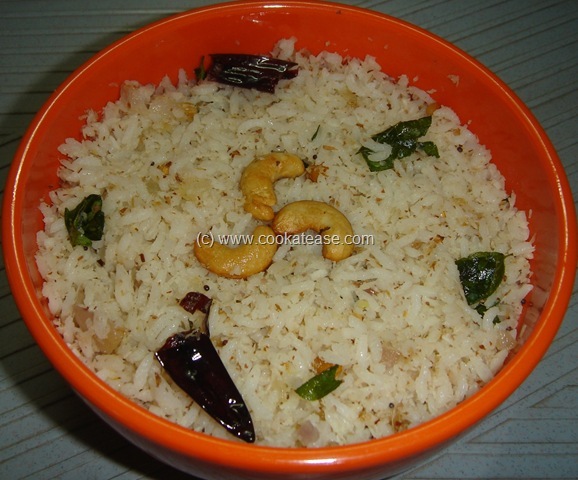 If you desire, you can add some peanuts in this. 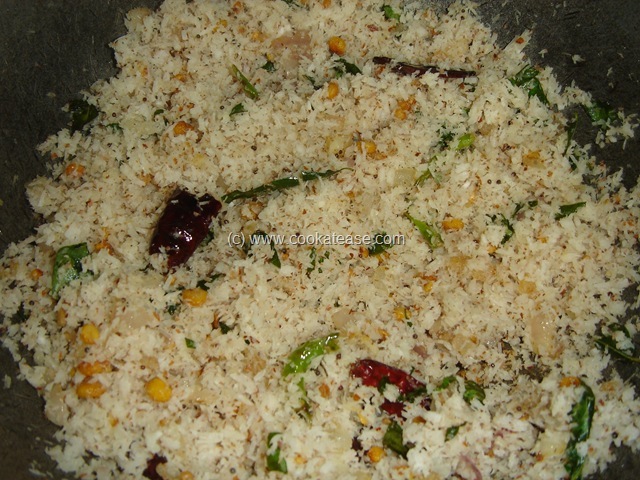 This post is part of the event “EFM Theme – Variety Rice Series” hosted by SriLekha of Me and My Kitchen. i love thengai sadam…favourite meal at my house…not made with onions so far..let me try with onions tomorrow…will let u knw.